On November 18th, the ladies of Busy Hands will once again have their Christmas Shoppe with holiday items for sale. The gals of the Busy Hands are having a silent auction for a hand-sewn beaded Christmas stocking. This silent auction will be a “one bid, make your best offer” sale. The winner of this item will be announced at the end of the sale. 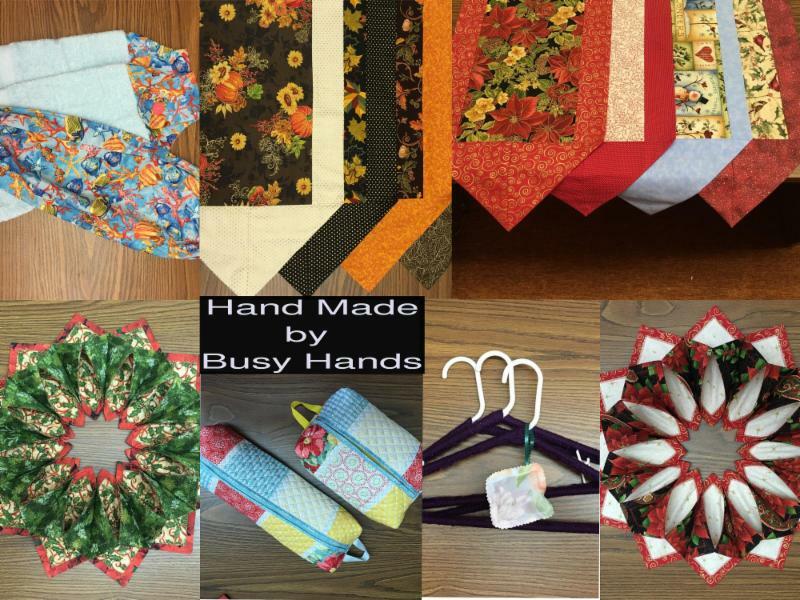 Busy Hands will also have additional items for purchase that include quilted totes, baby bibs, Christmas jumpsuits for toddlers, cloth books and quilts. Table Runners for Christmas and seasonal holidays will also be available. Plan on stopping by the North Hall on November 18th for some early Christmas Shopping. Everything sold will go to support both Busy Hands and the church.